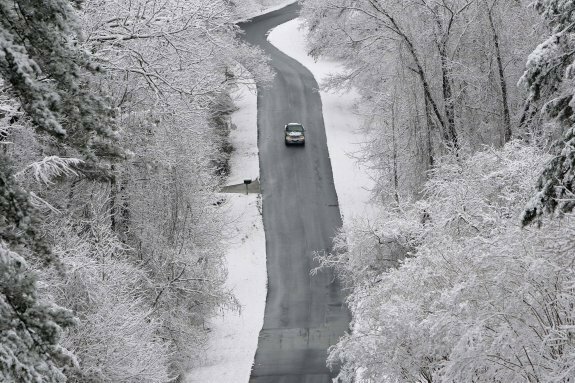 According to forecasters, Deep South will be hit by what could be its worst snow and ice in a generation. Schools were closed, hundreds of flights were scrapped and cities blew the dust off the few snowplows they have Tuesday. From Texas to the Carolinas, almost 40 million people are in the storm’s path. In New Bern, North Carolina, where the last 6-inch snowfall happened in 1989, forecasters said as much as 7 inches could come down. In Charleston, South Carolina, and Savannah, Georgia, ice was the major threat – as much as a half-inch. Columbia, South Carolina, a city of 130,000 people with only eight snowplows, was expecting up to 4 inches of snow. The city put emergency workers on 12-hour shifts and mixed up sand, salt and brine to put on the city’s major roadways as the weather got worse. Schools were closed from Texas through the Florida Panhandle and up to North Carolina. The Johnson Space Center in Houston shut down for the day. Mississippi Gov. Phil Bryant declared a state of emergency for almost half the state’s counties. Drivers were warned to use extreme caution or stay home entirely. Just north of Austin, Texas, where ice was accumulating on bridges and overpasses, emergency crews responded to a reported 20-car wreck. Airlines canceled more than 2,600 flights, including more than 800 in the hub of Atlanta and more than 600 at the major airport in Houston. Snow was already falling Tuesday morning from just north of Austin, Texas, up to the southern tip of Maryland, and a band of ice reached from San Antonio to the suburbs south of Atlanta. By Wednesday, forecasters said, the storm will bend up the East Coast, traveling as far north as Providence, Rhode Island, before moving offshore by lunch. Farther north, millions of people suffered Tuesday under another day of deep freeze. Subzero temperatures stretched from Montana to Pennsylvania. It was 11 below zero as the sun came up in Chicago, 8 below in Pittsburgh and 6 below in Cincinnati. The unbearable cold forced schools to close in Minnesota, Chicago and western Pennsylvania. The University of Michigan shut down because of weather for the first time since 1978. Lake Geneva, Wis., recorded its 17th day of subzero temperatures this winter, double the average. The latest blast of frigid weather arrived just as a shortage of propane, the fuel used by 14 million Americans to heat their homes, reached critical proportion. With prices more than doubling from $2 a gallon to more than $4 last week, the governors of Minnesota and Illinois declared states of emergency Monday, urging people to cut back and regulators to lift restrictions on shipping to their states.